Google is shutting down Google+ as a social network, effective August 31, 2019. Google made the announcement on October 8, the same day as a Wall Street Journal story outlining that the data of a half million users was exposed. Google knew about the security issue back in March 2018, but elected not to disclose it to users. Within hours of the story, Google came out with an announcement acknowledging the issue, but defending its actions. In the same announcement it said it was closing Google+ down in 10 months’ time. It says the security bug was limited to a small number of Google+ profile fields marked non-public. Those fields include name, email address, occupation, gender and age. The breach “does not include any other data you may have posted or connected to Google+ or any other service, like Google+ posts, messages, Google account data, phone numbers or G Suite content,” according to Smith. G Suite content, of course, refers to G Suite users’ email, calendar, and stored files. Many small businesses use G Suite (formerly called Google Apps for Business). So it’s good to know your company’s sensitive communications were not affected. Google says it disovered and patched the bug back in March. Google can’t tell which users were affected, because it claims to keep log data for only two weeks. However, it estimates that 500,000 users using 438 different apps were affected. Google+ will remain open until August 31, 2019. However, you might want to consider leaving sooner rather than later if you use it for marketing purposes. Smith revealed how the network has shrunk, admitting it has “low usage.” Over 90% of its sessions are less than five seconds! Google Plus launched in 2011. Activity has declined noticeably in recent years. Google+ is widely considered a failure for Google. And what if you have original posts and images on Google Plus that you want to save? Smith says Google will provide instructions in the coming months for how to download and migrate files. Google plans to continue to offer an enterprise-only version of Google+. The company says there’s value as a private network within organizations. In you run a Community on Google+, make plans to migrate it to a different platform. Facebook and LinkedIn Groups are two obvious choices. Set up a new group somewhere else. Notify members of the transition date so they can move over. 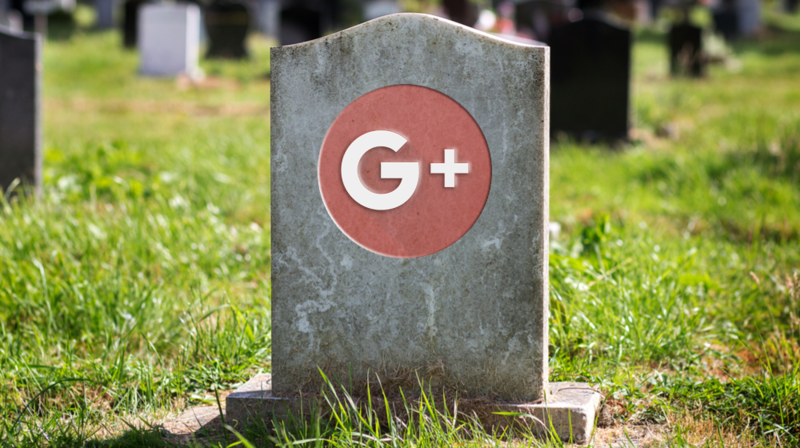 People may assume Google+ is shutting down immediately. Don’t wait if you want an orderly transition. Pick up the pace of content sharing activity on other social networks. For instance, we’ve found that motivational quotes work well on Google+. So we’ll be experimenting to find an alternative platform for motivational content. Google says it is paying even more attention to privacy and security. Now is a good time to check your privacy and security settings in all your Google apps, including your Google account, GMail and more. Individual users should check the security for their own Google acounts. Use Google’s Security Checkup Tool. G Suite administrators should check organization -wide settings. More information on checking G Suite security here.